Terrai Tea Tree Oil Shampoo is rich and luxurious made without harsh chemicals, animal ingredients or animal testing. 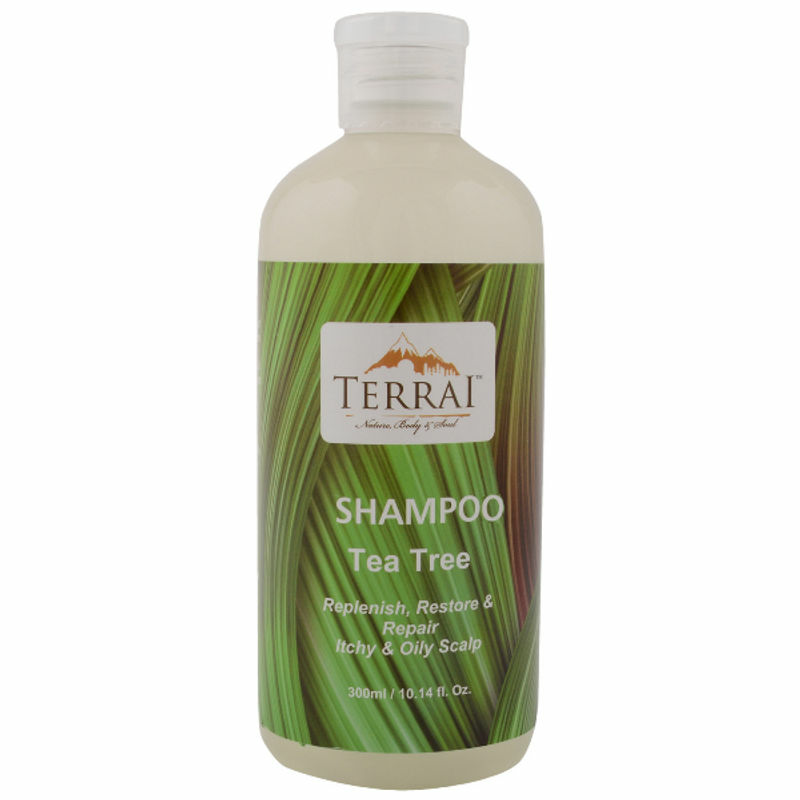 Its mild and natural formula, containing Natural Tea Tree Essential Oil, works to treat and repair dandruff causing oily scalp, while the product gently cleanses the hair to replenish the adequate moisture and restore good health. Your hair is left gentle, full bodied and nourished, just as nature intended.